The "wall" isn't the only thing he sees in 4th-century terms. "We’re talking about sand and death, that’s what we’re talking about. We’re not talking about vast wealth. We’re talking about sand and death." Basically, if there's no money in it, he's not interested. His view of "money" is so simple-minded that he sees everything in the same terms he saw making a "deal" with the tile installer at Trump Tower. He doesn't understand trade or "the economy" or really, anything, so he reduces everything in life to simple transactions. Donald Trump twice asked Iraq’s prime minister for oil in repayment for America’s invasion of the Middle East country to topple Saddam Hussein in 2003, it has been reported. 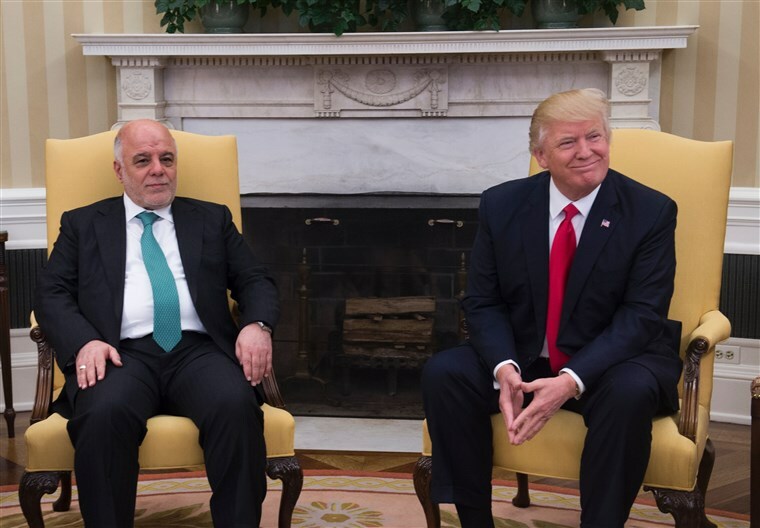 The US president first brought the subject up in a meeting with Iraq’s then-leader Haider al-Abadi in March last year, according to Axios. “Trump says something to the effect of, he gets a little smirk on his face and he says, ‘So what are we going to do about the oil?’” a source in the White House meeting told the US news outlet. Asked by Mr Al-Abadi what he meant, Mr Trump said, “Well, we did a lot, we did a lot over there, we spent trillions over there, and a lot of people have been talking about the oil,” according to the source. “It was a look down and reach for your coffee moment,” a second source who was in the room told the site. Mr Trump again raised the issue with Mr Al-Abadi during a phone call last summer, according to the outlet, and discussed seizing Iraq’s oil with officials in a Situation Room meeting last year. The 72-year-old was reportedly told by defence secretary James Mattis that such a move would be a violation of international law. This is the basis on which he makes decisions. People should be very, very wary of validating such a process.